I love seeing Bionicle and constraction parts used outside of character builds, in scenery. Wildlife is an uncommon treat with those parts, and the outlandish plants in Grayson's Extraterrestrial Garden are a lovely example. 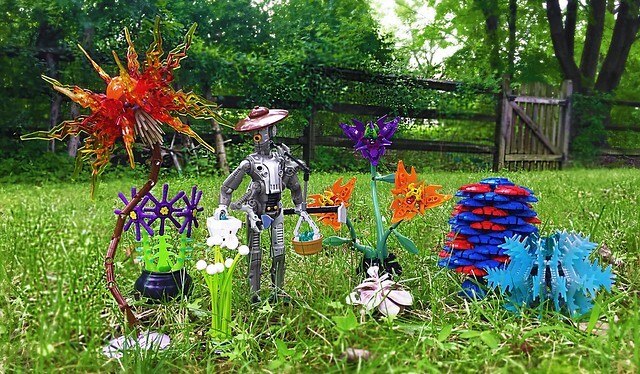 I wonder if the robot gardener has to water them, or oil them?